Tired Eyes: Why Isn’t My Child Still Sleeping Through The Night? Having a child is expensive! And if the money you spend keeps you awake at night, what do you do if you've got a child that's, even after the age of 1, still isn't sleeping? Lots of parents have this predicament. Some parents have a dream child that falls asleep after 2 weeks of being on this earth, but others have so many sleepless nights, or a child waking up at 3 in the morning for some inexplicable reason. What could be the reasons and what can you do? Has There Been A Change In Routine? You've got to remember that your child is constantly learning and developing, and when they hit these leaps in development, this can shake up their sleep patterns so much. Not only this but have you undergone a change in life recently? For example, is there going to be another addition to the family? Or are there so many things going on, that your child doesn't have a specific structure anymore? It's important to integrate a proper nighttime routine and stick to this. Even if they wake up in the night, by sticking to this routine, they will, hopefully, get back into some sort of routine quicker. It's important to check their teeth because if there's a tooth that's trying to break through, this could be a simple reason. The first teeth that come through are horrible, but just because they're more used to the teeth coming through later on, doesn't mean that it hurts. If you haven't checked this, have a feel of your child's gums to see if anything is coming through, and if necessary, give them the miracle Calpol! Are You Not Letting Them Fall Asleep By Themselves? When our child wakes up in the middle of the night, we can be quick to jump up and tend to them. But if we aren't giving them the chance to fall asleep by themselves, this could be a very simple solution. Perhaps we've been holding their hand so they can fall asleep, or they’ve got used to cuddling all night before they go to sleep, and as such, this means that they're not used to getting themselves back to sleep if they wake up in the night. After all, they need you there. It's a very difficult thing to do, but if you can start to see if they can get back to sleep by themselves, by waiting 5 minutes, you will at least see if they are crying crocodile tears for you, or they are really upset. Are They Simply Not Comfortable? Have you ever slept in a child's bed? The mattresses are thin, the pillows aren't particularly comfy, and if you're not comfy, do you think your child is? It's a little thing, but if you spent the least amount of money on a mattress because you are buying everything else for your baby, it's time to spring for a good quality mattress. There are Silentnight mattresses out there that can do the job, but if you're looking for something to suit your budget, there are plenty of comfortable ones out there. It could be as simple as this! 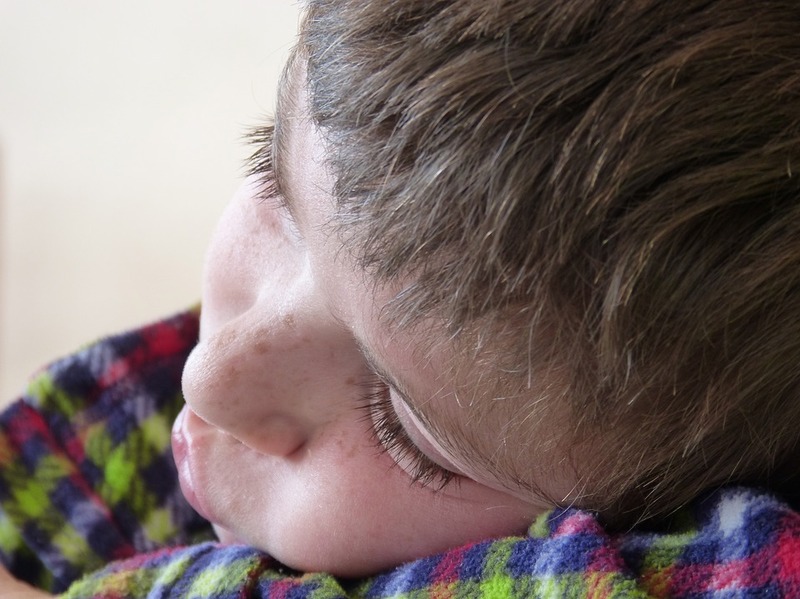 There's nothing worse than having disrupted sleep, or having an upset child in the middle of the night, but as they get older, it might be time to change your tact.